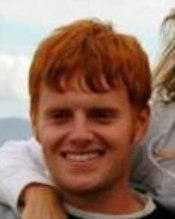 “Michael Steven Poe, age 23, of the 22900 block of Peach Tree Road in Clarksburg, was last seen at approximately 12:30 a.m. on January 1 at Shenanigans Bar in the Adams Morgan area of DC. Poe was with friends at that time. The group then split up, and Poe never returned from DC. He was last heard from via cell phone at approximately 2:30 a.m. on January 1.